A few weeks ago, I planned on giving up smoking along with my partner Gareth. Between the two of us, we spend a disgusting amount on cigarettes, and know that it's not good for our healths. I purchase my cigarettes in bulk, and had enough to last me until Sunday the 7th of August, so my plan was to give up then, with Gareth following suit when he felt ready. Then came Saturday the 6th of August, the day my next door neighbour exposed himself to me, and it made all my plans go up in the air. I know it sounds like I'm making excuses, but I seriously feel like those packets of cigarettes I got through was part of the reason why I didn't have a breakdown. They kept me sane, and kept my stress levels from raising any more, along with lots of support of course. It's so easy for a smoker to say they're going to give up smoking, but actually following through with the task is a whole different story as many will know, as the saying goes, it's easier said than done. Thousands before have done it, my own mum for example, she's been smoke free for 16 years, it would of been 20 years but she started smoking again for 18 months when her dad - my grandad got admitted to hospital, sadly he never came out. 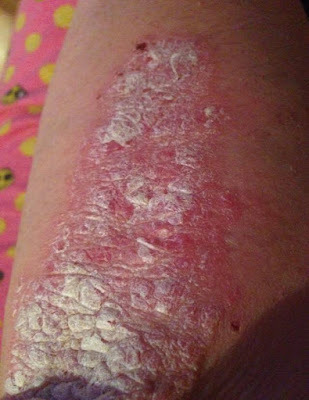 Back when my mum gave up smoking, it was a case of going cold turkey or using patches which irritated her skin as she suffers with psoriasis, I myself can't use the patches either due to my chronic and severe psoriasis, and I just don't have the willpower to go cold turkey. I've been smoking for seven years and utterly disgust myself when I think of the money I've spent during these seven years on cigarettes. After hearing so many success stories of people giving up smoking I'm asking for any advice anyone may have? I don't want anything to help me, I want to try and do it as natural and as close to cold turkey as possible! Unfortunately due to the recent situation, my psoriasis and Hidradenitis Suppurativa (something that I've not spoken about on the blog before but do plan to in the near future!) have got a lot worse too, I'm currently waiting for an appointment with a dermatologist at the hospital as my doctors have done everything they can for me. Life has been very stressful, but I'm taking all the right steps to get those stress levels down!